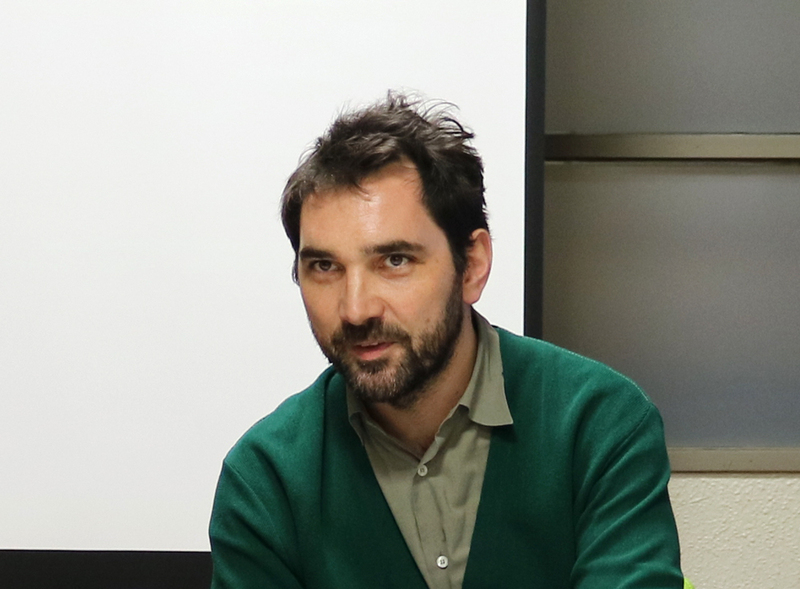 Tokyo University of the Arts Graduate School of Global Arts invited this fall Dr Anselm Franke, Curator and Writer, Head of Visual Art and Film at the Haus der Kulturen der Welt, Berlin, as a special guest lecturer to our School. Along with a lecture for our all-students’ compulsory course “Introduction to Art and Culture in the Global Age” and “Art Studies and Curatorial Practices” seminars and workshops with Professor Yuko Hasegawa, he delivered a special lecture open to the general public at our Ueno campus. Dr Franke has been curating Animism (2012-14), Taipei Biennial Modern Monsters / Death and Life of Fiction (2012) and Shanghai Biennial Social Factory (2014). In this public lecture, he started with a big question of what it means to be modern, and discussed carefully modern art and modernism had developed since the late 19th century in relation to other aspects of modernization, such as technology, science, and social change. His concern lies in the institution of the museum as a modern invention in which a specific form of knowledge is produced. He used the example of his exhibition projects to discuss forms of knowledge that cannot be simply represented or shown in this institution. So-called pre-modern, animistic practices cannot be exhibited in museums without being structurally transformed and inserted into the system of modern knowledge. But how does such a transformation itself become the topic of an exhibition? Here we release the whole movie of the lecture with a simultaneous translation to Japanese.